This General Fidelity Health Insurance Company Review explores California-based General Fidelity Insurance Company. The General Fidelity Insurance Company sells disability, specialty, credit, and other types of insurance. If you’re thinking about health insurance rates, receive free health insurance quotes by typing in your zip code now! Then keep reading about General Fidelity Insurance Company to learn more about the company’s products and services, challenges, and parent company. The information can help you decide whether General Fidelity Insurance Company’s profile meets your requirements as a health insurance provider. The company was sold by Bank of America Insurance Group, Inc. to TIG Holdings, Inc., a subsidiary of Canadian Fairfax Financial Holdings, for an undisclosed sum in 2010. 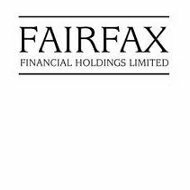 Fairfax Financial Holdings Limited is a publicly traded company on the Toronto, Ontario Stock Exchange (TSX Symbol: FFH and FFH.U). According to A.M. Best, General Fidelity Insurance Company is in run-off. Fairfax Financial Holding’s The Riverstone Group (and its Resolution Group subsidiary) is managing GFIC during the run-off process. The Resolution Group manages run-off operations in the United Kingdom and the United States. A.M. Best reviewed the company’s reserves and operations in early 2011. General Fidelity Insurance Company’s rating was downgraded from an A- rating. The company previously sold property & casualty insurance along with mostly specialty insurance products. In March 2011, a U.S. District Court in the Southern District of Florida favored General Fidelity Insurance Company’s position when an insured homebuilder client pursued it for Chinese drywall claims. The company pursued its insurance company under the policy’s pollution exclusion in a general liability insurance policy. The court found that the insured homebuilder and a named individual were not entitled to property damage and personal injury damages claimed in a lawsuit. General Fidelity Health Insurance Company and Fairfax Financial Holdings Ltd.
General Fidelity Insurance Company is owned by TIG Holdings, Inc., a wholly owned subsidiary of Fairfax Financial Holdings Ltd. Fairfax offers a variety of financial services products and programs, including primary insurance to individuals and commercial customers and reinsurance services to other insurance companies. Fairfax also owns Falcon Insurance, Crum & Forster, and Northbridge Financial. Fairfax Financial Holdings Ltd.’s insurers provide property & casualty insurance such as auto and trucker insurance policies and accident insurance lines in Asia (Singapore and Hong Kong), Canada, and the United States. Most of Fairfax Financial Holdings focus on the United States market. Customers in the U.S. represent about half of the company’s written premiums. Odyssey Re, a reinsurance company, and Crum & Forster, a specialty and commercial insurer, operate in the United States. Northbridge Financial, a property & casualty insurance company, operates primarily in Canada. Central/Eastern Europe is considered an emerging market for the company. Polskie Towarzystwo Reasekuracji was acquired in 2009 for about $72 million through a public tender offer. The company also purchased UK insurance company Advent Capital for approximately $154 million that year. The company was converted to a private company and its shares were delisted on the London Stock Exchange. In the EMEA markets, the company signed a joint venture agreement with Kuwait Projects Company (KipCo) to offer Middle East customers insurance through the Gulf Insurance Company. Asian market subsidiaries include First Capital Insurance and Falcon Insurance Company. In 2010, the company agreed to partner with Alltrust Insurance in a China joint venture. The company purchased the remaining 27% of Odyssey Re necessary to own the business. Then the company purchased the outstanding shares of Zenith National Insurance for approximately $1.3 billion. Fairfax Financial then agreed to acquire Pacific insurance company Berhad for $64 million in 2011. The company also acquired Canadian specialty insurance company First Mercury Financial for approximately $295 million. The acquisition delivered First Mercury Emerald Insurance Services, CoverX Corporation, and American Management Company. The company’s reinsurance operations include companies in Central Europe, the United Kingdom, and the Americas. Some financial writers compare chief executive Prem Watsa to American financier and entrepreneur Warren Buffett. Watsa owns approximately half of Fairfax’s voting rights. Watsa’s penchant for investment is demonstrated in the company’s control purchase of Ridley Inc. for about $81 million. The company is an animal nutrition company and former part of the Australian Ridley Corp.
Request competitive health insurance quotes from a variety of health insurance companies by simply typing your zip code now!